In my last post I didn’t mention dependencies. Dependencies are their own animal. They require a couple more things to be in place. Let’s talk about those things. 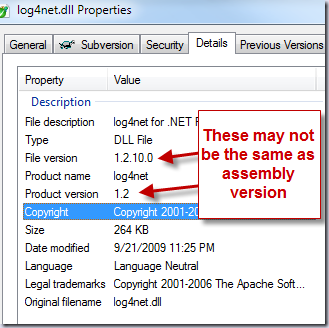 In the .NET world, the dependency for compiled bits is usually an exact version of a reference. Let me explain. 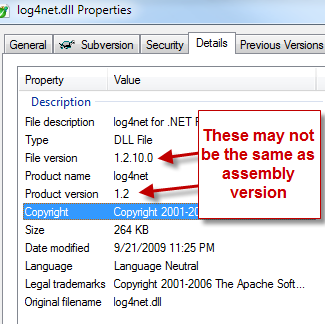 So for example, you have a reference to log4net, and you don’t ILMerge it into your assembly. 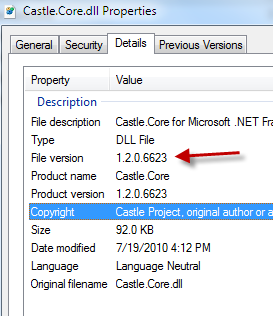 You now have a dependency that the DLL needs to be there and a particular version (outside of redirecting the bindings). 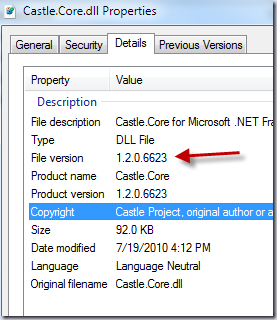 So what I’m getting at is that you require an exact version of a particular DLL. 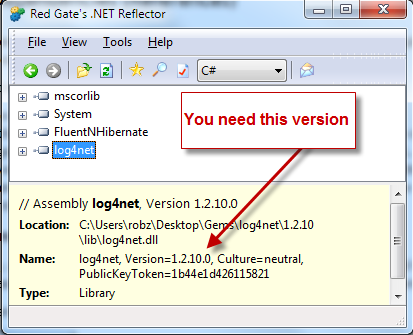 And what you really need is an exact name, version, culture, and public key token of a DLL. But let’s keep things simple. It’s really the version and the name when culture is neutral (and the key shouldn’t change in the same version). So just the name and version. 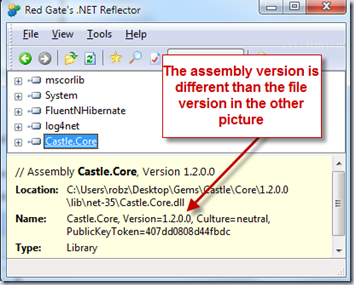 For each reference you have to a library, you find out what version it is (assembly version) and then add that as a dependency. 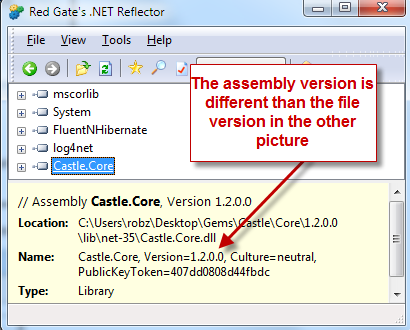 You can do that by cracking open reflector and taking a look at the actual assembly version. I believe you add each referenced dependency to it’s own line. Now to the sanity check. Before you even add it as a dependency, you want to ensure that the gem exists. Go to http://rubygems.org and in the top right there is a search box. Search for your reference there. 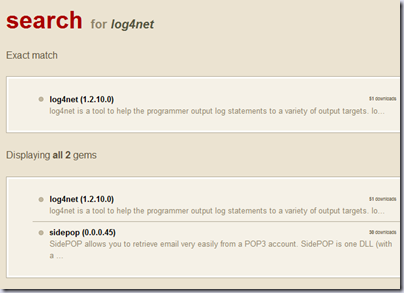 So let’s search for log4net to be sure it’s there. Sweet! I can move on to my next reference because the right version of the gem exists. Keep in mind that the name of the gem may not be the one you are looking for and/or the name may be slightly different. For example. I have a gem for UppercuT. The gem is named uppercutbuild because there was already a gem named uppercut. Now if it’s not there, you can add it. When the actual authors want to start managing the gem, you can just add them as owners so they can push their own gems. 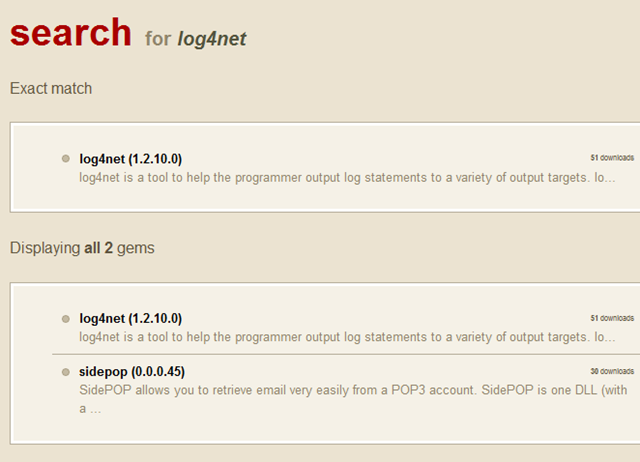 You see how I am listed as the owner of the log4net gems? I am not really the developer, when I created the gem, I tied it as closely as I could to the apache project and the committers. 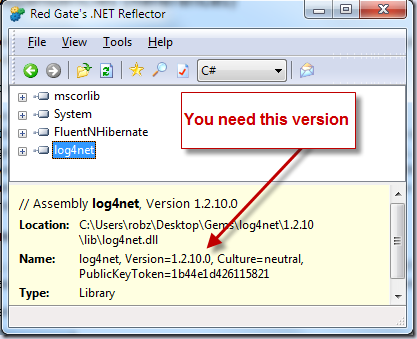 When those guys are ready to own the gem, I have the specs for both 1.2.9 and 1.2.10 (both are commonly referred to without the last version octet) and I can just add them as owners.